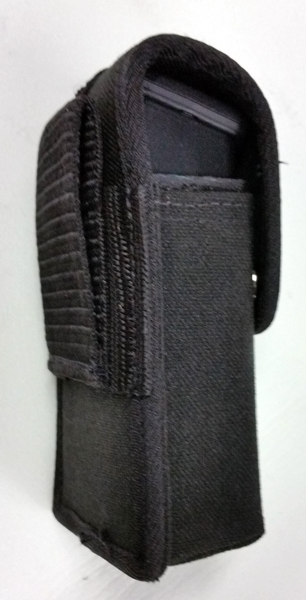 Compact Double mag case made with lightweight black Cordura nylon. 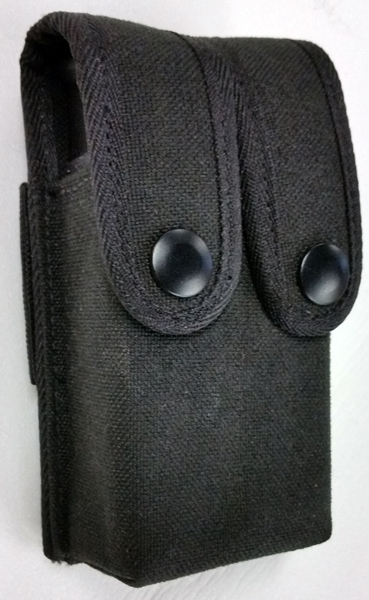 It works in both the vertical and horizontal carry position and fits up to a 2 1/4" wide belt. 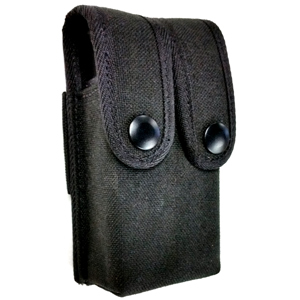 The mags are protected by a rigid plastic insert.